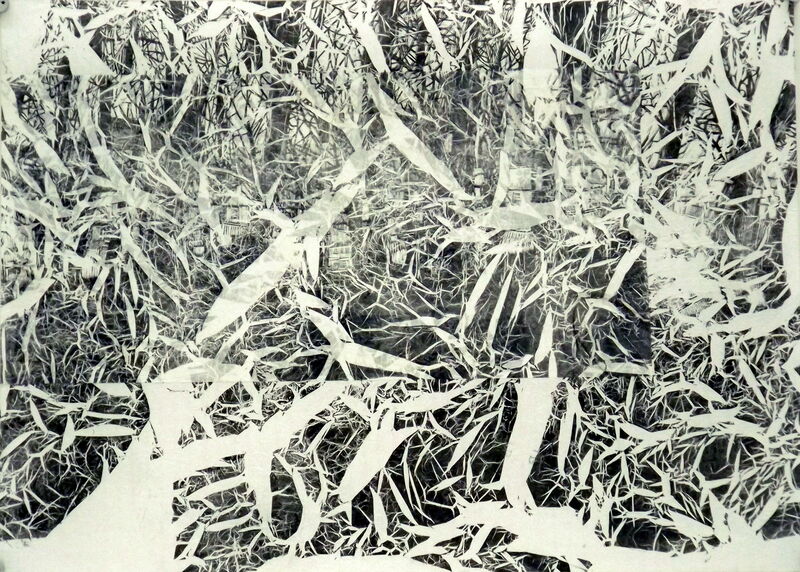 Jess has won the Intaglio Printmaker Prize at this year’s National Original Print Exhibition for her Linoprint Collage “Fracture” which was exhibited at the Spike Island open studios in May. Wow, great news Jess! National Original Print Exhibition is an international open competition established by the Royal Society of Painter-Printmakers which celebrates the best in all types of contemporary printmaking. It is showing at Bankside, London from 19th- 30th September. Jess is this year’s Peter Reddick Bursary Award winner (2017 – 2018) and will be having her end of year exhibition on Friday 5 October at SPS.